Our elite rat, mouse, and rodent control experts are ready to serve you. Since 1969 TORO has removed and exterminated more rats, mice, and rodents, than any of our competitors. Our professionals offer residential rodent control services as well as commercial rodent control services. We are even famous for catching the Super Rat! We have participated in a joint studies with the State of Florida Health Department and John Hopkins University. TORO has conducted Rodent Abatement programs throughout Miami-Dade County and New York State for residential and commercial structures. TORO has also worked with Bell Laboratories- The world leader in rodent control equipment and rodenticides to solve major rodent infestations to commercial complexes. These infestations had impacted not only the commercial buildings but the surrounding residential communities. Rats and mice are frustrating rodents and they can be most embarrassing if they keep crossing the room when you are hosting visitors. They can truly damage your image besides scaring your visitors when they run all over their legs scrambling for food. Worst still, the rodents are disease carriers and an infestation in your home exposes you to illnesses like leptospirosis, salmonella, typhus, plague, rat bite fever and even Hantavirus. These kinds of risks make it important to find ways for eradicating the pests before they take over your home. If you have an infestation already, they you might consider calling in rodent control professionals. Toro Pest Management is the best company for this. We have a rodent abatement team ready to come to your rescue. We offer residential rodent control services and also commercial rodent control services to make sure that your home and office remain as sanitary as possible. Toro has experience in exterminating mice and rats and other rodents. We have been offering pest control services since 1969. We are the best you will find. We have taken part in joint studies with the Florida State Health Department and we have conducted rodent abatement programs for commercial and residential structures with only excellent results to show. Toro uses the optimum rodent abatement method. 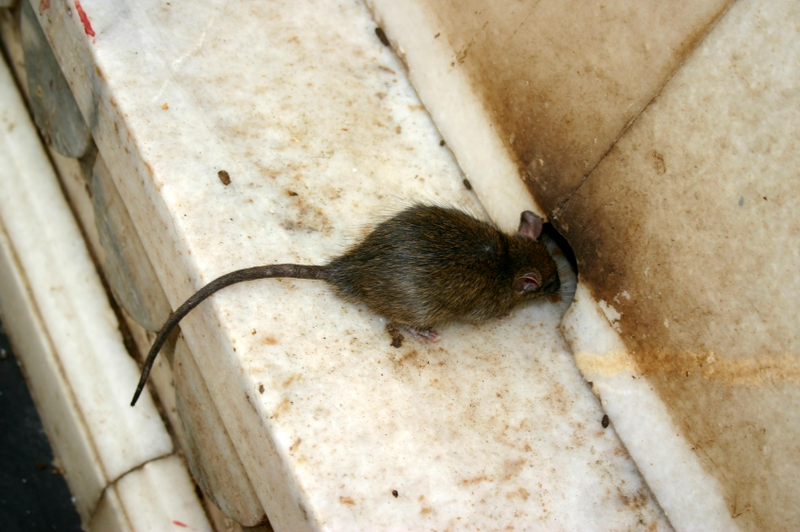 When you call us to handle your rodent problems, we will start by inspecting exteriors and interiors of all buildings. Depending on our findings, we will give you sanitation recommendations and structural recommendations to keep the rats and mice from accessing your property and infesting it. You will get a detailed report on our findings. We will then use the best rodent trapping program for your interiors and use rodent bait station together with rodenticide on your exteriors. Some of the things we use during this process include rodent tunnels which are excellent in capturing escaping mice and rats. They are placed within the structure with snap traps and baited blue boards. Our tunnels are very good at containing bio hazards such as rodent blood, droppings and urine. Toro exterminators use rodent bait stations with rodenticides and install them to pavers using concrete screws. Our services are what you need to keep your family and property protected from rodents, mice and rats. Considering how damaging the rats and mice can be on your property and the risks they have on you and your family’s health, you are better placed letting us do what we do best for you. Inspect all buildings interior and exterior. On the interior TORO rodent tunnels offer a superior capture rate, that makes mice escapes virtually impossible. These stations are placed inside the structure as needed with baited glue boards and snap traps. TORO rodent tunnels help contain bio hazards such as rodent urine, droppings and blood. On the exterior TORO uses rodenticides secured in Rodent Bait Station. These stations are installed with concrete screw to pavers. Placement of Rodent Bait Stations are documented in our service reports. Plague, Typhus, Salmonella, Leptospirosis, Rat Bite Fever, and Hanatavirus. Mice and rats are always looking for food and shelter. If you cut off access to those two things, it will help solve your rodent problem. If you suspect rodent problems; ask for Toro’s Rodent Abatement Team. Ask us about our Rodent Control Program, it is the best way to protect your family, your home and your property from rats, mice, and rodents. Let us provide you with a more enjoyable living environment for everyone.